3:15 pm Assemble in grounds of Memorial Church the 120 year old Neo-Gothic Protestant Church. 3:30 pm Visit the Church. 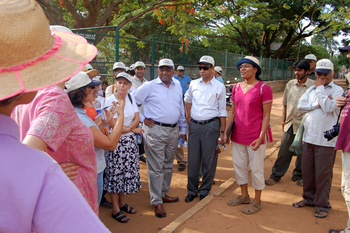 Brief presentation on history of Whitefield - the Anglo-Indian settlement. 4:00 pm Commence walk from Church. 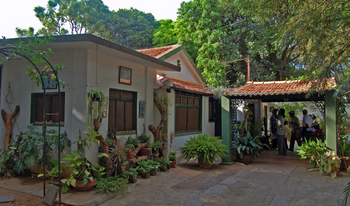 Experience the colonial ambience of tree lined avenues and bungalows in garden setting. 4:30 pm Visit Our Lady of Lourdes Church and Kaolin Hill. 5:30 pm Coffee & Books – a short reading on excerpts from Whitefield (letters). 5:45 pm Bird watching around ECC’s extensive campus and lake. The settlement itself was planned as a perfect circle with a central open area acting as a village green with agricultural lands around. 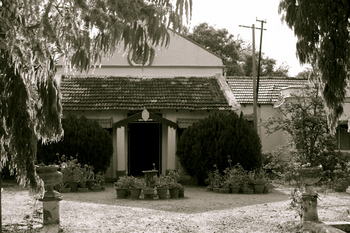 The houses were very similar to the Colonial Bungalows of the Cantonment though on a smaller scale. The site is unique in that it may very likely turn out to be one of very few planned ‘Anglo-Indian’ settlements in the whole of India. As the settlement developed it became a popular resort for pensioners and invalids especially for shooting parties due to its salubrious climate and open countryside for miles around. One famous visitor was Winston Churchill - the inn he stayed in stands even to date. 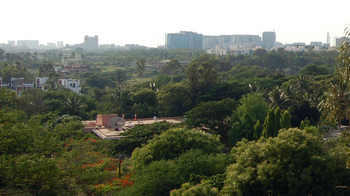 However this peaceful rural haven has not only been swallowed up by the suburban sprawl of Bangalore but also faces immediate threats due to ad-hoc, haphazard and unplanned development. It is hoped the proposed event will raise awareness not only of a unique historical settlement but also of the need for integrated, sensitive planning and development. little less than 2 km with stops in between. Coming from Old Madras road, drive past ITPL (on your right) Whitefield towards Hope Farm Junction. Turn right at the junction. Drive for about 500m. Entry to Whitefield settlement is on your right immediatly after Our Lady of Lourdes church property and a bus stop. Rear of Memorial Church abuts the road and can be seen from the road. Coming from Airport Road continue driving along the road i.e Varthur road (beyond Marthahalli) till you reach the T junction with NH207 i.e. the Whitefield Main road (near Varthur Kere). Turn left and drive past Fab India (on your left). 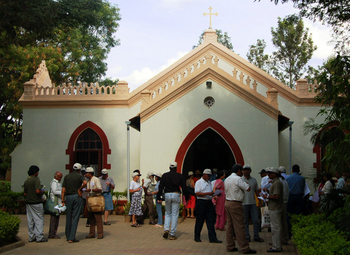 You will see Memorial church on your left about 150 metres past Herbs and Spices restaurant (on your right). 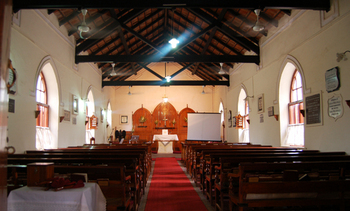 Inside the Memorial Church, Whitefield.